Onsi Fakhouri is the Senior Vice President, Cloud R&D of Pivotal. Onsi has served as our Senior Vice President, Cloud R&D, since May 2017, and is responsible for the development of our cloud-native offerings. Prior to that, he was Vice President, Cloud R&D from January 2016 to May 2017, and Vice President, Engineering for Cloud Foundry from April 2015 to January 2016. 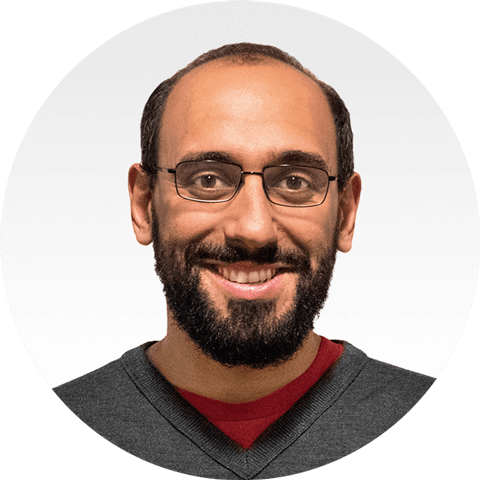 Onsi was also a distinguished software engineer and product manager in the Cloud R&D organization from 2013 to April 2015. Prior to joining Pivotal in 2013, Onsi was a senior software engineer in the Pivotal Labs Division at Dell EMC from 2012 to 2013. Prior to Dell EMC, Onsi was a software engineer at Pivotal Labs LLC from September 2010 until it was acquired by Dell EMC in 2012. For our cloud-native platform, Onsi is dedicated to cultivating and expanding our unique, opinionated, and disciplined approach to modern software development to the scale of hundreds of engineers, and to empower our engineers and product managers in the Cloud R&D organization to bring our cloud-native platform to the world. Onsi earned bachelor's degrees in Physics and Mathematics from MIT. He then earned a PhD in Astrophysics from the University of California at Berkeley.